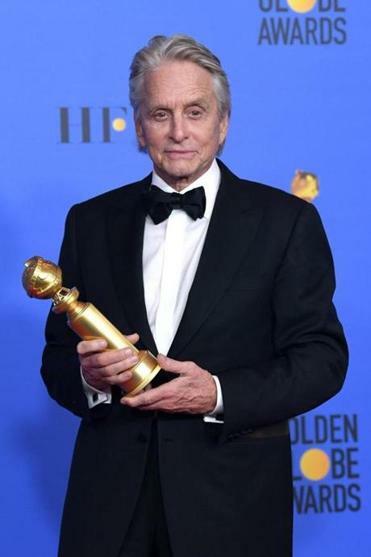 “The Kominsky Method” star Michael Douglas won the Golden Globe for actor in a TV series, musical or comedy. Netflix’s “The Kominsky Method,” a comedy about the long friendship between an older actor (Michael Douglas) and his agent (Alan Arkin), seemed to have flown under the radar. It’s endearing, but, with its aging-prostate and Viagra jokes, not the kind of material that usually generates buzz. Then, surprisingly, the show, from “Big Bang Theory” creator Chuck Lorre, won two major statues at the Golden Globes — for lead actor Douglas and for the show itself, as best comedy or musical. Naturally, it will be back for a second eight-episode season later this year, and now Netflix has announced a few new recurring stars. Jane Seymour will be on board as one of Arkin’s exes who comes back into his life. Jacqueline Bisset will play Douglas’s ex-wife and the mother of Mindy (Sarah Baker). And Paul Reiser will be Mindy’s older beau.